Hi. 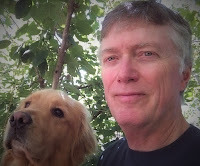 Bill Keilt from Littleton and Grant, Colorado. Here's my dog, Trey, and I. 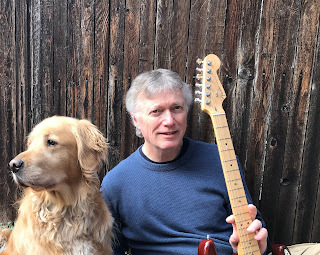 This blog is about the journey I'm on to become an Ambient-Soundscaping-GuitarPlaying composer and musician. There's a lot of ground to cover. I've been playing the guitar for over 40 years; I've played in working bands, mostly jazz; I am comfortable on acoustic and electric; my background musically is in jazz, blues, finger-style acoustic blues and Celtic. 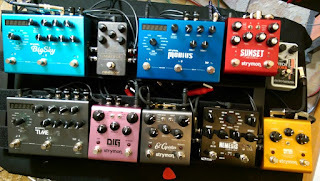 I've never had any stomp-boxes or effects to speak of, other than occasional and light reverb or delay on my amp. Jazz is about the notes you play mostly. And acoustic guitar, is, well, acoustic and by definition, (mostly), without amplification and sound reinforcement. Ambient music to me is more about the sound and feel. Rhythm and melody are not particularly important, or maybe, not particularly fixed. I'm more concerned with the texture of the piece; the layers and how they interact; and the unique and always morphing sounds that the digital sound processors create. 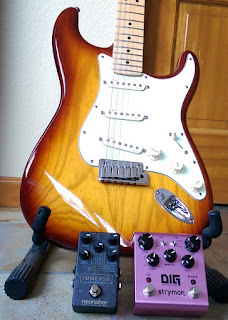 Here's my main guitar: it's a 2014 American Deluxe Fender Stratocaster. It has the N3 Noiseless pickups, which indeed are noiseless and I love them. I've fought hard to keep my signal chain as noise-free as possible, and single coils are known to be the enemy. Here's my pedal board, Sept 28, 2017. 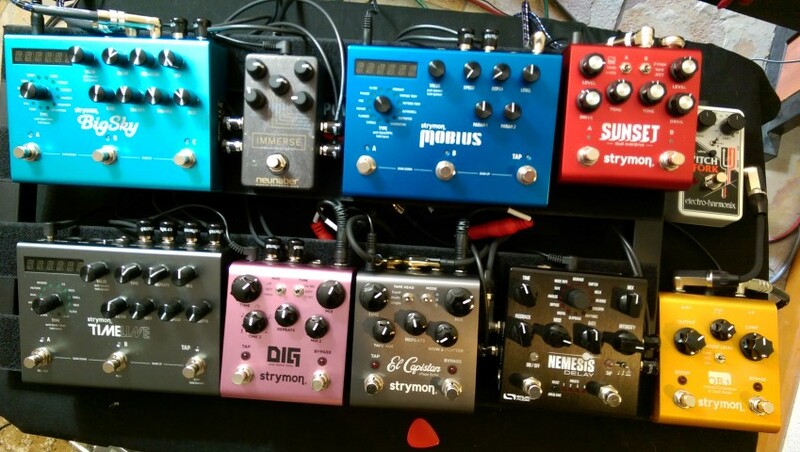 As you can see, I am a big fan of Strymon pedals. I love their sound and their layout. We've out-grown the board, so I have two pedals sitting on the table on the right edge. On the floor, out of view, are a volume pedal, a Ditto X2 looper, and at the end of the signal chain, a Boss RC-300 Looper.